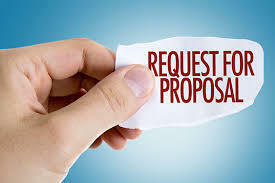 The Waterford Graded School District (WGSD) is inviting proposals from qualified firms, companies, or corporations through this Request for Proposal (RFP) to provide comprehensive Heating, Ventilating & Air Conditioning services to WGSD for the next 5 years. For more specific information on this RFP please click here to review the document and its specifics. Any questions or requests for information or clarification regarding this RFP, must be submitted no later than 5:00 pm on January 18, 2019. Any questions after this deadline will not be answered. Please direct your questions or requests to Ed Brzinski, District Administrator at brzinski@waterford.k12.wi.us.